This year's Lent project is the charity SURVIVE-MIVA - the Missionary Vehicles Association. SURVIVE-MIVA is a Catholic lay Association. It exists to provide one vital element for the success of the Church's health and pastoral work in areas of great need - a means of transport. 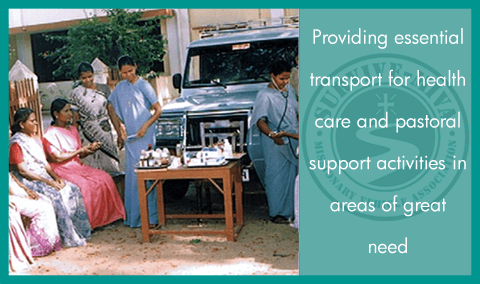 During the calendar year 2014, SURVIVE-MIVA funded the purchase of 469 modes of transportation. There will be a speaker at all Masses on Passion Sunday (22nd March) and a second collection. 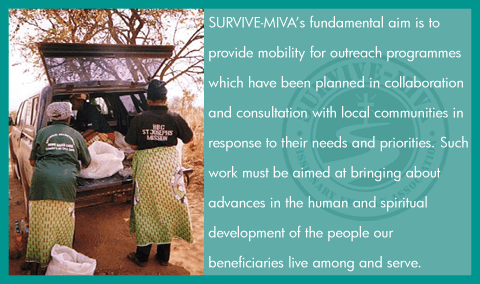 SURVIVE-MIVA is a very good, targeted way of helping the Missions, with results that may be seen.